Heading to Cabo for a vacation, wedding or other event? Make the most of your time in this sunny paradise by enjoying luxurious spa services. In fact, you don’t even have to leave your Cabo villa or hotel to receive spa treatment. Our mobile spa service will travel to you to provide personalized service, so that you don’t have to make travel accommodations or navigate through unfamiliar territory and find parking. Whether you want an intimate spa setting catered to your group of girls, where conversations can be had and photos can be taken in the comfortability of your villa, or you want a spa day by the pool with your sweetie, we’ve got you covered. Here is a look at the many benefits of spa treatments. Massages are more than a luxury people treat themselves to when vacationing. 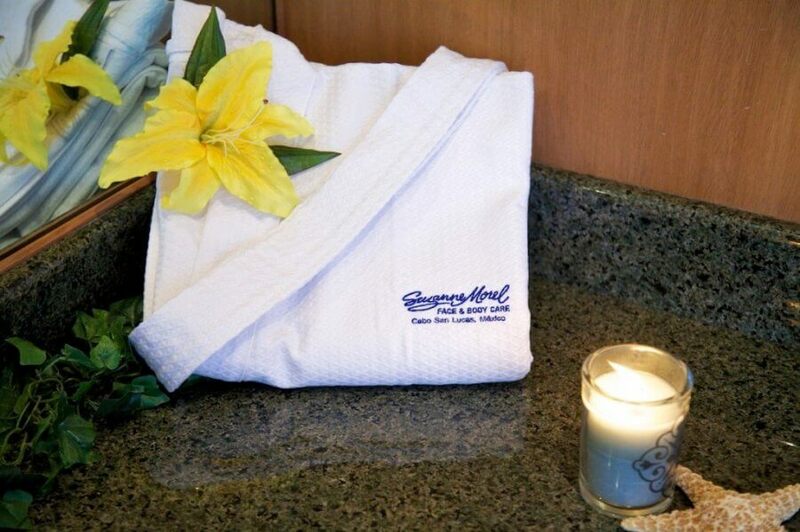 Our spa service provides refreshing massages that rejuvenate, relax and eliminate anxiety and stress. This is precisely why so many health professionals are adamant massages play a part in wellness. 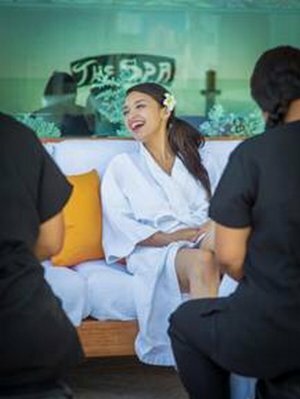 Visit our in-house spa location or let our team treat you at your Cabo villa and you will feel perfectly relaxed and ready to enjoy everything Cabo San Lucas has to offer. This is exactly what you need to get ready for your next event, or to forget about work and focus on enjoying your vacation. Massage benefits include alleviation of lower back pain, enhanced immunity and a reduction in the effects of sitting for extended periods, and more. Be sure to get a facial in addition to your massage. We offer a variety of facials from the Age Defense Hydrating Facial to the Oil Defense Facial Treatment and beyond. Each facial provides unique benefits. If you have a sunburn, opt for the Seaweed Sun Damage Facial. If you have dry skin that you would like to appear radiant prior to your Cabo event, consider the Bamboo Organic Facial. Those who are concerned with signs of aging will find the Age Defense Hydrating Facial helps them look their best for the upcoming event. This facial makes use of specialized ingredients that slows the aging process. There is no reason to wait until something goes wrong with your skin to get a facial. A facial can function as a preventative measure to prevent the emergence of wrinkles and fine lines. Get a facial in Cabo prior to your event and it will greatly enhance the flow of blood beneath the skin to renew skin cells. A facial will also minimize puffiness and discoloration as well. Those who are concerned with sagging skin, wrinkles and other signs of aging will find facials make their skin smooth and strong. A facial combined with a massage will smooth out those fine lines and catalyze the production of collagen. The massage combined with exfoliation and the absorption of key nutrients works wonders against the aging process. Your body deserves just as much treatment as your face. After all, Cabo is warm and you will be showing some skin while you are in this gorgeous locale. Our Cabo San Lucas spa services include a Cucumber Cooling Sun Treatment. This is a full body treatment that soothes the skin. Take advantage of our Back-Cleansing Treatment, as well. 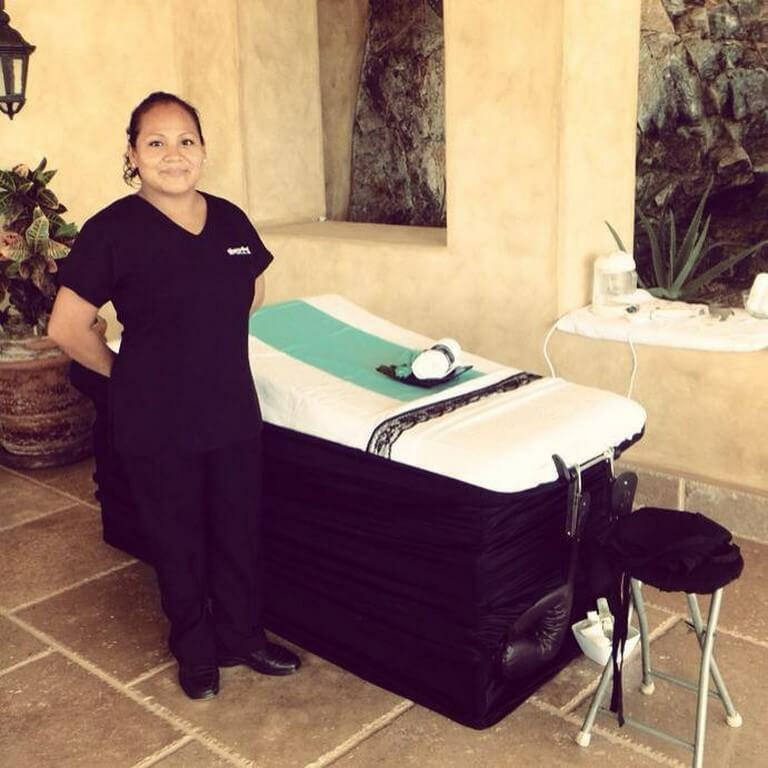 This Cabo San Lucas spa treatment is perfect for those who have any unsightly blemishes on their back or shoulders. It exfoliates, cleanses and can even extract some blemishes from the back. You should be pampered during your Cabo stay. This is a time to kick back, get your mind off of work and family responsibilities and enjoy life. It does not matter if you are a man, a woman, old, young or anything in between. You will obtain considerable benefit from a manicure as well as a pedicure. If you have not yet tried these treatments, there is no better opportunity than your stay in Cabo. Men who try these services respond in an overwhelmingly positive manner. 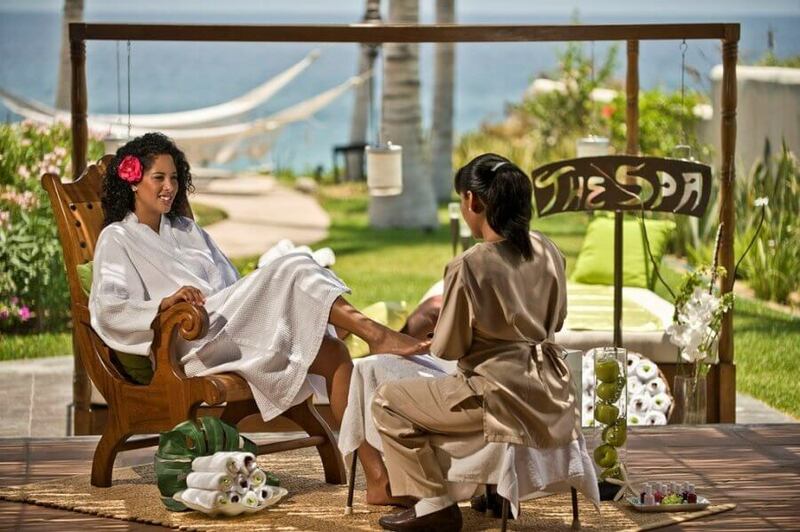 Most importantly, manicures and pedicures performed by our Cabo San Lucas spa team feel good. Close your eyes, lest our spa services team work on your feet and hands and you will feel absolutely fantastic. Once our team is done working on your feet and hands, you will find your touch is that much softer. Though this might not mean a lot to some men, it certainly means something to those they covet. 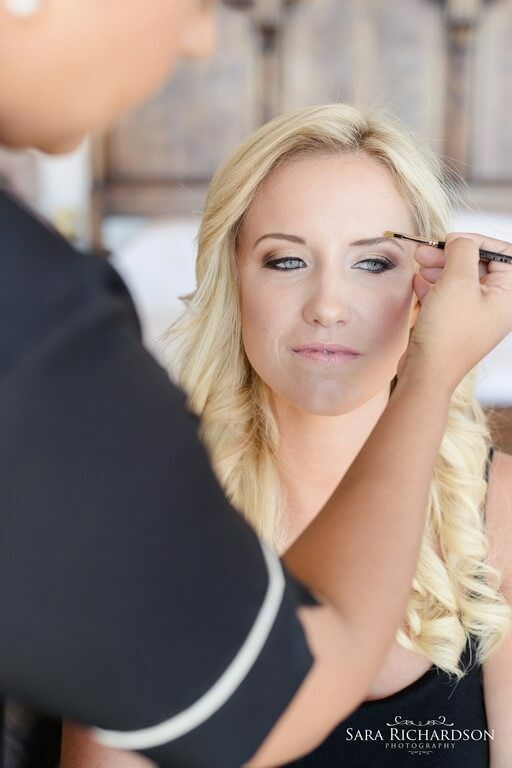 This is the treatment you need to look your best when you are in Cabo for the big event. 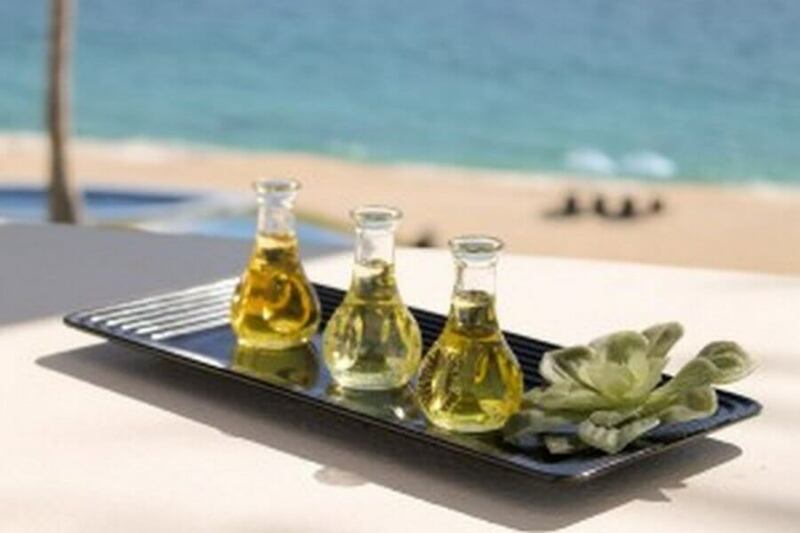 We offer a Mexican Ritual Mayan Healing Package every Cabo visitor will love. This is a combination of fresh herbs, papaya and mango that provides a lovely exfoliation treatment. This ritual service includes yoga stretching, a traditional massage that lasts for an entire hour and a lovely cup of antioxidant tea. Our body exfoliation treatment removes dead skin cells, impurities and other unsavory particles. It also stimulates circulation and softens the skin. This is the perfect treatment prior to sunbathing, water sports, beach activities and simply being a tourist in Cabo. This entry was posted in Blog, Cabo Bridal Hair and Makeup, Spa Services and tagged 5 Benefits of Cabo San Lucas, Best Massage in Cabo San Lucas, Cabo San Lucas Destination Weddings, Cabo San Lucas Hair and Makeup, Cabo San Lucas Spa, Cabo San Lucas Spa Packages, Cabo San Lucas Spa Services, Cabo San Lucas Spa Treatments, Wedding Hair and Makeup in Cabo, Wedding Services in Cabo.